After a rather long day or perhaps an entire weekend dedicated to furniture shopping, many Toronto residents might have experienced the feeling of returning home empty-handed and frustratingly dissatisfied. Although they were undoubtedly full of eagerness and anticipation when the day/weekend began, it is quite possible that they shuffled home with a sense that everything seemed to look the same and nothing appealed to their personal tastes/needs. In many of these cases, the homeowners will either defer their furniture shopping activities and decide to live with, as they say, their current piece/pieces or they acquiesce and simply make a less-than-ideal purchasing decision for the sake of having something new; that is, anything is better than what they currently own. Unfortunately, neither of these scenarios adequately fulfills their goals and visions, and in the latter situation, it is often money spent with eventual regret. But there is an alternative, one that might not have been top-of-mind at the outset, but can provide an ideal solution to the homeowner’s need/desire for new furniture and alleviate any feelings of dejection; high-end custom furniture from the Carrocel furniture store in Toronto. Taking all of the above dynamics into consideration, the trade-off, in a manner of speaking, undoubtedly seems to favour the option of custom furniture. Consequently, discriminating Toronto homeowners may wish to collaborate with the skilled designers and artisans from Carrocel fine furniture, located at 245 Bridgeland Avenue near Yorkdale Mall, to design and manufacture the ideal piece/pieces of high-end furniture that will address and satisfy their unique needs and tastes. In essence, going the route of custom furniture affords astute homeowners the opportunity to create pieces to their exact specifications rather than having to settle for something that might best be described as good enough but certainly not ideal. Furthermore, one-of-a-kind high-end furniture is certain to be a topic of conversation with and the envy of friends and family for many, many years. Sometimes, homeowners may be looking for that unique or one-of-a-kind piece of custom furniture that will complete the existing décor of a particular room in their home. This too can be addressed and resolved by the expertise of the Carrocel artisans. For further information on the custom furniture services offered by the skilled designers and artisans from Carrocel, see Custom Designed Furniture Page. Looking for the ideal high-end furniture to satisfy your specific needs and discriminating tastes? 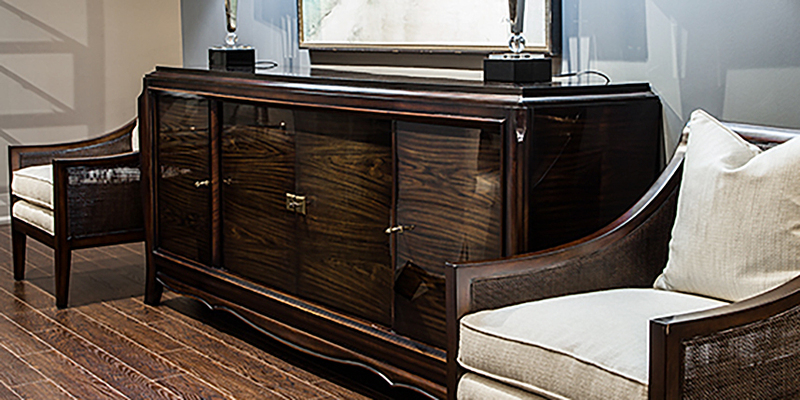 Custom furniture by the skilled artisans at the Carrocel fine furniture store may be the solution. Call Carrocel today at 416-999-2525 or contact us to book a no-obligation consultation on our custom furniture services. You also have an open invitation to visit our 20,000 square-foot showroom on Bridgeland Avenue at your convenience.